We’re in an election year and to welcome you back to the CCF for 2016 we thought we would have another look into the Senate voting reform proposals. 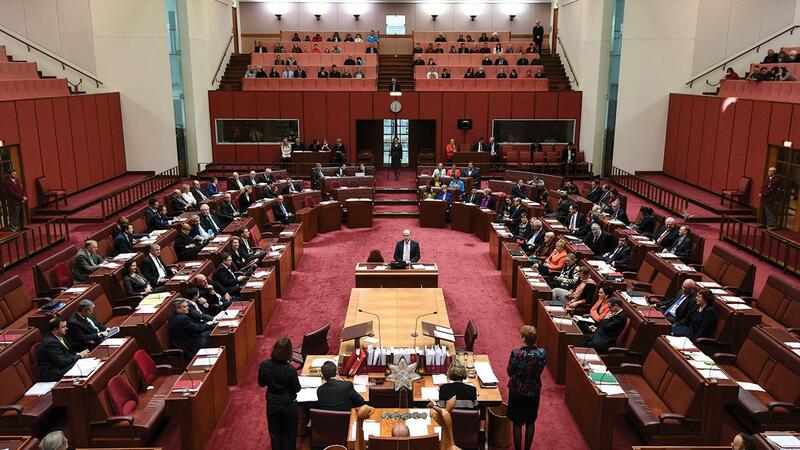 This week we learned that the Coalition and the Greens are onboard to reform the Senate voting method. Meaning that the Government will not need the support of the minor party crossbench to pass new legislation on this matter. In fact, reforming Senate voting is likely to annoy minor party Senators, who could struggle under the new proposals to be reelected after their term expires. Previously some of these Senators have said they wouldn’t pass any Government legislation until certain issues are addressed. It is likely that the same threat would be issued if the Government introduced new legislation on Senate voting methods. So, if Senate voting reform does go ahead there is a possibility that the Government could to hold a double-dissolution election to clean the Senate out. In an article we researched and published last year, we discovered the last possible date for a double-dissolution is in May 2016 (if the Government holds a D-D election without Senate voting reform, the likelihood of a larger crossbench increases as quotas for Senate seats are halved). Senate voting reform – Is this needed? Is the current Senate “situation normal” or “feral”? One thing that so far hasn’t been addressed is that the Senate voting reform most people are talking about is likely to result in exhausted votes. If a voter numbers 1-6 below-the-line on a ballot paper and none of these six candidates gain a Senate seat, your vote goes in the bin. One of the fundamental components of our current federal voting system is preferential voting. Have you ever said this to someone “don’t vote [insert minor party here*], it’s a wasted vote”? Has anyone ever said it to you? Or perhaps you’ve heard someone say it. At the moment this is not true. With our preferential voting system, it doesn’t matter how you place your preferences on the ballot paper because the vote will eventually land with a candidate that gets voted in (or comes runner up in the House). When voting for the House of Representatives, you must number all the boxes on your ballot paper so you choose how you place your preferences. However, many people always follow how to vote cards. And by following how to vote cards they are allowing the party of their choice to choose their preferences. The Senate voting method, while still preferential is different. Voters have a choice to whether they would like to make all of their preferences by numbering all the boxes below the line or whether they would like the party they choose above the line to make their preferences for them. Now, let be clear. Voters are making a choice. They are choosing to vote above the line. And the numbers doing this are huge - about 97.5%. Over the years the major parties didn’t worry too much about it. But with the election of Ricky Muir from MUP with a tiny first preference vote at the last federal election at the expense of Helen Kroger from the Liberals, a committee was set up to look at how the electoral system could be changed to prevent the election of a Ricky Muir again. The Senate shall be composed of senators for each State, directly chosen by the people of the State, voting, until the Parliament otherwise provides, as one electorate…. The premise of Malcolm’s argument is that the people should choose the Senators, not the party, which is the case if you vote above the line. CEFA can’t find any surveys or research that has been conducted to ask Australian voters whether they would like the Senate voting method reformed, and if so, how they would like it reformed. The best we can do is read the comments below articles like Mr Mackerras’ in the Australian (however, this is not representative of all Australians). Many of the comments after Malcolm’s article are calling for abolition of the Senate, or to make it more like the House of Lords in the UK Parliament so that the Senate cannot just block legislation (read our comparison of the House of Lords and the Australians Senate here). However, the people that wrote our Constitution deliberately made the Senate powerful. Our system was designed so that if the Government is having problems passing legislation they have the option of calling a double dissolution election to break the deadlock. In the 2013 election 32.2% of voters did not give their first preference vote to the Coalition or Labor in the Senate. That’s a lot of people. Do this third of Australian voters want the system changed? What are their thoughts on their vote being possibly exhausted? Are they unhappy with Ricky Muir as a Senator? And will changes to the voting method in the Senate make our democracy stronger?